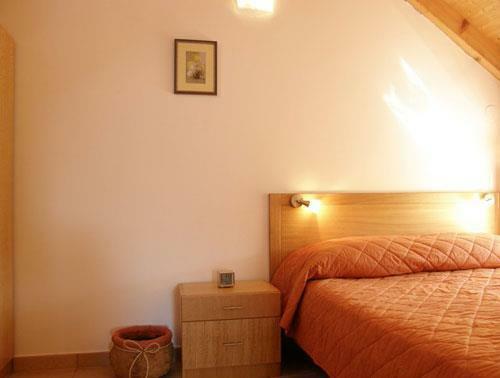 Situated in the historical old quarter of the picturesque seaside town of Cavtat, well known for its wonderful cafes and restaurants, this pretty studio apartment offers guests lovely rooftop and sea views from its lounge window. Decorated to a very high standard in a modern style, the apartment blends comfort and style with an enviable location. 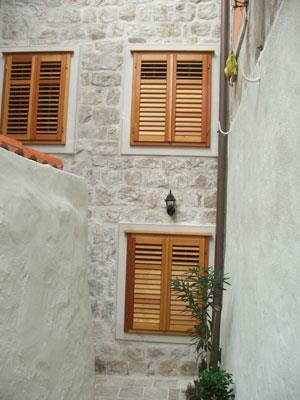 Entry into the accommodation is via one of the cobbled pedestrianised streets located in Cavtat old town into a courtyard. A door leads into the main building which houses three apartments in total. 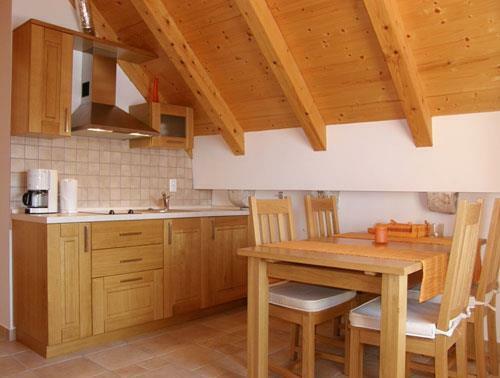 The studio apartment on this page is located on the second floor and consists of an open plan kitchen/diner/lounge area decorated with handmade wooden furniture and fittings. 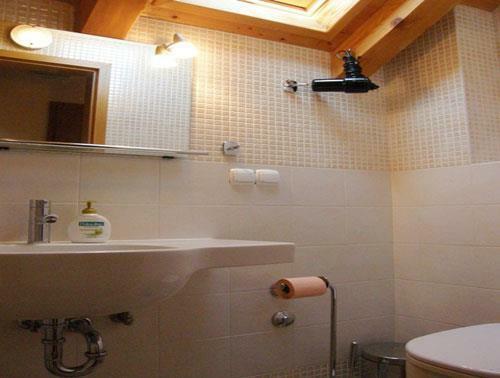 To the rear of the apartment there is a shower room and a partially separated double bedroom. 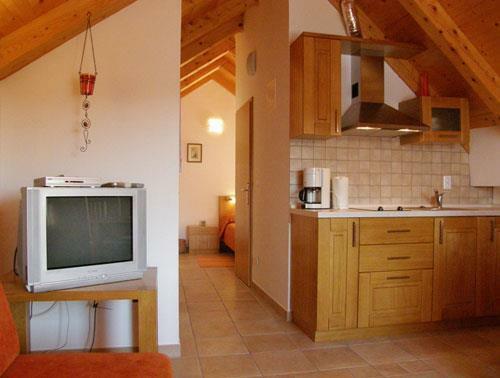 The studio apartment would suit those looking to stay within walking distance of local restaurants and beaches. 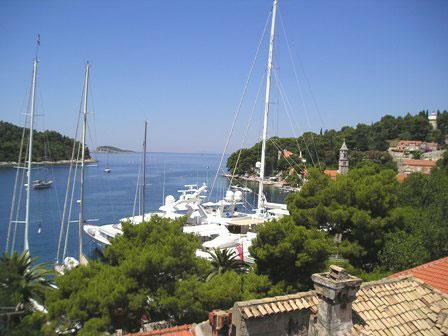 An hourly boat service operates to Dubrovnik from Cavtat from April till October. The boat arrives directly into Dubrovnik old town and the journey time is approx. 30-40 minutes. Last boat back is around midnight although this may be subject to change towards the earlier and latter parts of the season. Please check locally. Other attractions include excursions to off shore islands such as Mljet and the Elaphite islands as well as day trips to Montenegro and Mostar to name but a few. Details on nearest shopsSupermarket, post office etc. The apartment was superb. 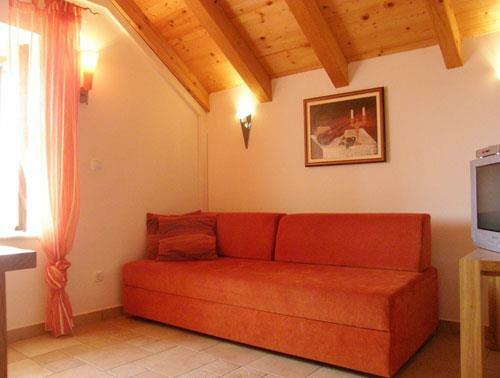 The photographs on the website did not do justice to the very high quality of the apartment, and its location was even better than suggested, immediately behind the sea-front restaurants. (Caretaker was) Very helpful, and very professional. In the apartment there could have been leaflets about restaurants, or events nearby. (On our last day we discovered that there had been acoustic guitar concerts at a nearby church, which we had missed.) Wi-fi would have been very useful. The various post-booking forms emailed to me were sometimes confusing, as each one repeated the same extensive details about payment arrangements, even though I had already paid in full. This could lead to the relevant information to be missed, buried beneath the repeated information. Not impressed with: Too many big cruise ships, though I appreciate this is a necessary evil. Recommend: Dolium restaurant, just minutes away, served particularly good food. The nearby Poseidon pizzeria served good pizza and pasta at a good price. Favourite villa moment: Opening the shutters, and seeing the wonderful sea-view. Seen on the website, but even better in the flesh. Recommend: Trip to Dubrovnik really good by boat. The scenery and opportunities to involve oneself in such a range of activities from outdoor pursuits to cultural sightseeing (was impressive).The only problem was that one of the two cooker rings did not work as a new part was expected. This made it a little more difficult to cook as eating out every night was expensive. Our representative in Croatia was fantastic. She collected us from the airport and was always on hand with anything we required.